WELCOME BACK STUDENTS - We cannot wait to see you all at our first GBM this Wednesday, September 27th at 7pm in 0302J Hornbake (bottom level) !! The March of Dimes Collegiate Council at the University of Maryland was founded in January 2010 by Anjani Kumar, who was shocked to learn about the incredibly high infant mortality rates in Prince George's County, MD, and decided to do something about it. Not only was there a disproportionate number of infants dying from premature birth, birth defects, and other complications, there was also a great disparity in the infant mortality rate between races. Minority groups, including African Americans, and Hispanic Americans, were especially hard hit. Being the next generation of young adults and parents, we, as college students, can empower ourselves and others through education, raising awareness, volunteering, and fund raising to support the March of Dimes foundation and its efforts to prevent infant mortality, birth defects, and premature birth. As the March of Dimes chapter at Maryland has evolved, we have continued to keep Anjani's vision close to our hearts as we have continued to volunteer and better the local College Park and DC community. While the executive members work hard to plan events, each individual is crucial to the success of our organization and we look forward to bringing in new ideas to our community! Feel free to look around our site and make sure to subscribe through Membership so that you can get emails and stay up to date on everything coming up this semester. One day, all babies will be born healthy! Please check out our Facebook page and Orgsync for more updates and easy event registration! Click the links to explore! 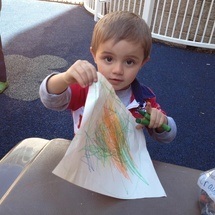 Check out pictures from some of our events! 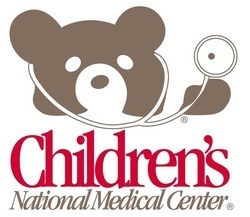 Every semester, we have our one and only NICU tour, where a group of students on the council goes to the Children's National Medical Center in D.C to tour the Neonatal Intensive Care Unit there. This is a once in a lifetime opportunity, and a very emotional and heartwarming experience. This is also a very popular event, so be sure to sign up as soon as you can. Spaces fill quickly! This event is a LOT of fun. You will be given charge of one disabled participant for the playdate and will play various games depending on the theme of the particular day. 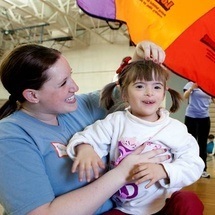 Much like Easter Seals, you will be given charge of one disabled participant for the playdate and will play various games depending on the theme of the particular day. The main differences are in the types of activities and the fact that you will have two different children as there are two shifts in this event!